If there’s any one element to appreciate in Looper, it’s the fact that writer/director Rian Johnson has committed to this sort of matter of fact tone with the film. Sure, there’s a bit of exhibition in the form of Joseph Gordon-Levitt’s noir-ish narration, but, for the most part, this is a universe that we’re thrown into, given a bit of explanation for, and are asked to just accept. Though the world of the future as portrayed in the film from the years 2044 – 2074 is one that is relatively plausible in appearance (you’re not going to be seeing any androids, aliens, or regular use of spaceflight), it’s important that we accept this world for what it is despite its more fantastical elements, such as the mutation of telekinetic abilities in some members of the future population, as well as the film’s portrayal of the discovery of backwards time travel. The reason for this is because, though these elements play a great deal of a role in the story, the story itself is not necessarily about these elements. You’re not, for example, going to be getting an explanation as to how time travel was uncovered, just that it exists and is being used for nefarious purposes. 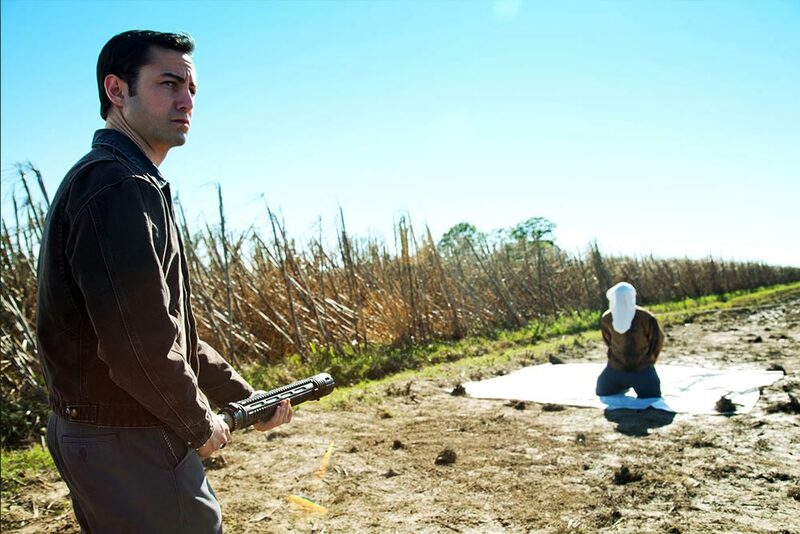 It’s almost impossible to sum up the narrative of Looper without delving into too many specifics and spoiling the plot for you, but I’ll try my best to summarize the premise without giving too much away. Joe Simmons is an impulsive young man who has taken up the role of a looper, a sort of contract killer whose work is largely completed for him several years into the future, save for the whole killing part. His victims are sent back in time at a specified time and place, and each victim comes with a cloth over their head and a stash of precious metal as payoff to the looper. Each looper works for the crime syndicate for a certain number of years, and when the syndicate of the future decides to terminate their contract with the looper, it’s understood that they will send the young looper their future selves with an even larger pay, enough to keep them living in the lap of luxury for some time to come — that is until they are inevitably captured and sent back to be killed by their younger selves. It’s not spoiling anything to mention that young Joe and older Joe eventually do meet up, and the killing does not go as planned. The resulting conflict between Joe’s younger self and older self is only one piece of a greater examination of one’s character and ability to change. Hindsight may be 20/20, but even though people can look back on their mistakes, it’s a sad fact that the acknowledgement of the past doesn’t always lead to wisdom and enlightenment in the future. Some people seem destined to continue to repeat the same mistakes over and over again, even when they’re determined to change this, but the film also tosses in the old nature vs. nurture debate for good measure. Through the enigmatic character of “The Rainmaker” and his horrific actions in the future, the film questions just how much is genetic makeup and how much is a matter of external forces acting upon an individual. While these story elements apart may not amount to too much of an original film, when combined with one another and conveyed through the highly entertaining and creative story Johnson has created, they actually do become greater than the sum of their parts. 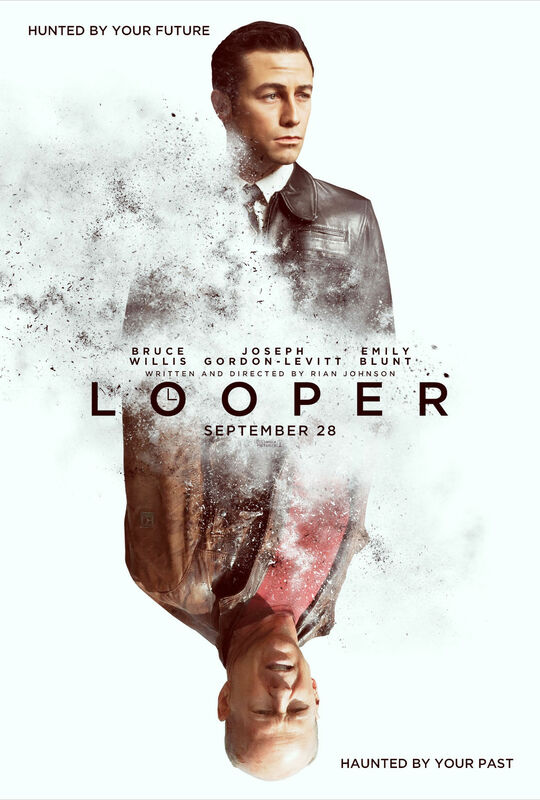 Similarly, Looper has obviously been influenced by films like 12 Monkeys, Blade Runner, and even The Terminator, but it’s never too distracting, and never does it feel as though it’s being derivative and unoriginal. Looper is concise in its storytelling and efficient with the time travel plot device, and if you’re paying attention (and with a film so engrossing, you really shouldn’t not be) you’re going to find that the story is relatively easy to follow. The setting of the film is very much so a well realized and complete universe, and it wouldn’t be hard to imagine that there are a wealth of stories waiting within it that could fill up even more fascinating films to come. 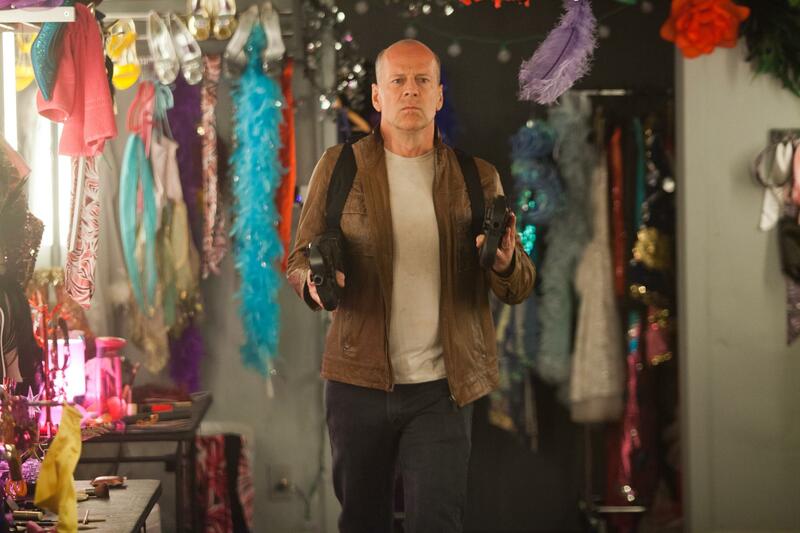 Cast-wise, the film is top notch, with Bruce Willis bringing with him the typical Bruce Willis cool with a hint of withering old man. He’s nearly 60 years old, but he can still pull off the action hero persona without becoming a cartoon. Emily Blunt has quickly become one of my more favored actresses, and here she’s spectacular as Sara, a tough farmer and protective mother of a very strange little boy (Pierce Gagnon, who is very likely going to be cast in countless rolls after his dynamic performance here). It would’ve been easy to overplay her roll as too much of a cowgirl, but there’s a real humanity to Blunt’s performance that grounds the character, despite the fantastic things going on in the story. 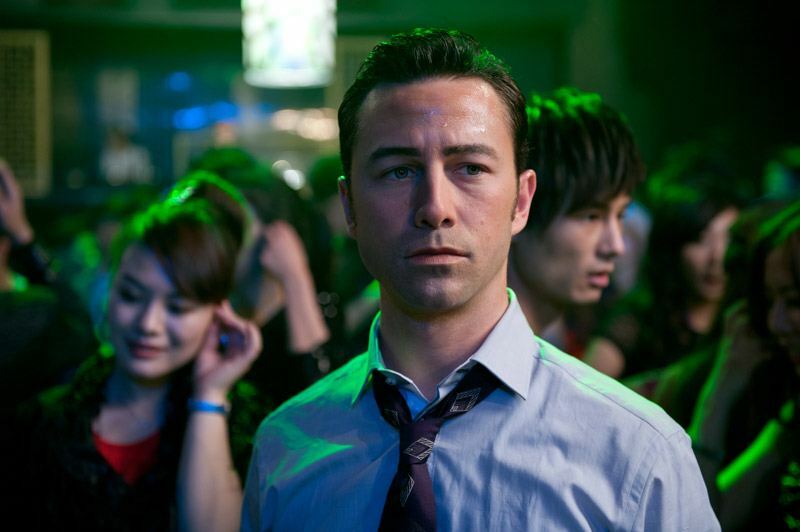 Looper does so many things right, I honestly can’t point out any blatant examples of the film faltering. Though the film doesn’t necessarily take itself too seriously (Jeff Daniels gets a great line about futuristic clothing), it’s not exactly a laugh riot or straight up explosion-heavy action film, either. The film is packed with style and awesome imagery, but also features a hefty serving of substance, too. This is one of those special kinds of films that use sci-fi as a means of telling a story, rather than focusing quite so much on all the sci-fi aspects. Both have their place in this world, and I love them both, but, like Moon and District 9 before it, Looper exists not to tell a story about time travel, but about people, who just so happen to be living in a world where our science fiction is their reality, and I often feel as though this is much harder to do — or at least, I presume as much, since it’s so hard for me to find a good sci-fi film that does this. This is definitely going on my list of my favorite films of 2012, for sure.